There are very few people these days who do not enjoy seeing a good film or going to the movies. A motion picture can excite us and uplift us whilst transporting us to a place of fantasy in order to escape realism. Since the first films, made in black and white and silent, the big screen has fascinated us with tales of love, war, historical events, fiction, true stories, romance, comedy and much more. Children particularly enjoy watching films and animated movies since it can stimulate their mind and develop their creative skills. Over the years there have been many very successful movies and blockbusters that not only have made history and created records, have also brought joy and pleasure to many people worldwide and the images will remain with us for a very long time, perhaps for the rest of our lives. A great performance can make or break an actor and often great actors continue to have very successful careers and develop a following to such a depth that their name alone on the credits can sway the viewer’s decision to see the movie. The industry is vast and employs thousands with directors, producers, make-ups artists, technicians, set-builders, administration and many more working hard ‘behind the scenes’ together as a team to create a master-piece. Films and actors are known to be a topic of much discussion with many people sharing the same common interests and now several sites are available on the Internet to read about the industry and meet fellow film-buffs. Below is a list of ten of the best sites for movie lovers. If you enjoy talking, watching and reading about movies then the list will be invaluable and much reading pleasure awaits you below. 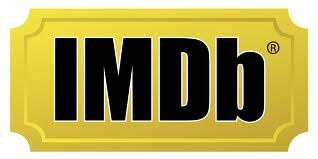 IMBD is without doubt one of the best sites for moviegoers since asides being very popular, it is ranked at 54 in the world on Alexa.com and contains very precise and in-depth information. Movies, TV shows and celebrities can be searched individually and all films contain reviews and ranks as well as full details of cast and plot. A section reveals box office hits and current releases with timings local to your area and previews can be found of movies soon to be released. You can join the community to leave message for other members and rate your own films and quiz games are provided for fun. Theguardian.com is a popular site for movie lovers. You can view which films are currently showing at the cinema as well as search for a movie in a theatre local to your area. Films can be selected by topics and there are news items and articles to read about the film world. There are sections for reviews, videos and special features along with trailers to view and a further section is dedicated to the Oscars. 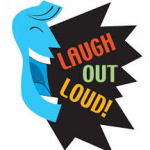 A blog can be found for commenting on movies and there is an online shop for purchasing DVDs. This is a great site for interacting with other movie lovers since you can make your very own profile and start rating movies. You can view all your rankings and see what other members are giving you score-wise and the top scores of the week are highlighted. You can explore the film database as well as the movie list and there are collections and recommendations to view. There is a forum and blog for commenting and contacting with resources and guidance given to assist you. Flickchart.com has 5 star movies for you to rate, review and rank. You can create your all-time movie list and discover all the films you have seen as well as those you haven’t. You can find like-minded movie lovers in the forum whose taste and style matches with your own and take part in the discussions and the debates. Becoming a member is easy and fast and help is available if needed. Rottentomatoes.com ranks very high on Alexa.com and gives you stills and previews to watch. There is a picture gallery with featured trailers highlighted and you can review the critics or rate the films yourself. There is a section for celebrities with the latest news and gossip from the film world and charts can be found for DVD releases, current box office films and also movies yet to be released. You can join the community and learn to give reviews by reading the works of the professionals. 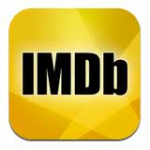 This is a popular site that ranks high on Alexa.com and contains a large selection of current box office movies along with the start-times relative to your local area. A section is dedicated to rare DVDs and concerts and all movies can be searched from the A-Z index. There is a forum to join with a message board for members and you can comment on topics such as horror movies, James Bond, Harry Potter and more. Reviews and rankings of each film are given and you can also vote and state your opinion in the polls. This is another popular site which lists the movers and shakers as well as the new and the notable within the movie world. Reports and reviews can be read and you can participate by becoming a critic and sections for TV, music and games are also given. You can view the DVD releases as well as see future movies in the making and popular featured articles currently include the awards ceremony as well as hot picks of the day. You can read what other users are talking about and also subscribe to receive the latest news and events in the news-feed. 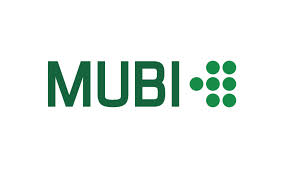 Mubi.com is an online cinema and community for people who love films. You can watch classic and international movies from as little as 7.99 Euros for a monthly subscription and discover the award winners and the classics in the library. There are passionate discussions currently taking place in the forum and you can share your recommendations with friends. It is easy to make your profile and place your favourites in lists which you can then distribute with all the other members in the community. 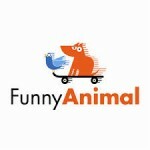 This site is a social networking site for movie fans which includes a catalogue of films. Once you have joined, you can view the movies and comment and take part in the discussions in the forums and blog. Current box office hits and movies soon to be released are featured and there is a special section for collections. You can join one of the member’s groups and read the latest buzz in the movie world as well as write your own film reviews. 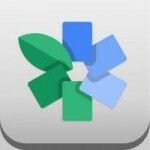 Filmcrave.com has a forum and a blog for meeting other members with a long list of movies and reviews to read. You can watch trailers of new and popular movies and see the films that are due for release. There are video games to play and you can find new DVDs as well as read the gossip and events in the movie world. A special section is dedicated for meeting other members and there is the facility to send private messages.